Iran’s ambassador to Kabul on Saturday expressed regret over rising insecurity in neighboring Afghanistan, saying insecurity in the country is contrary to Iran’s interests. 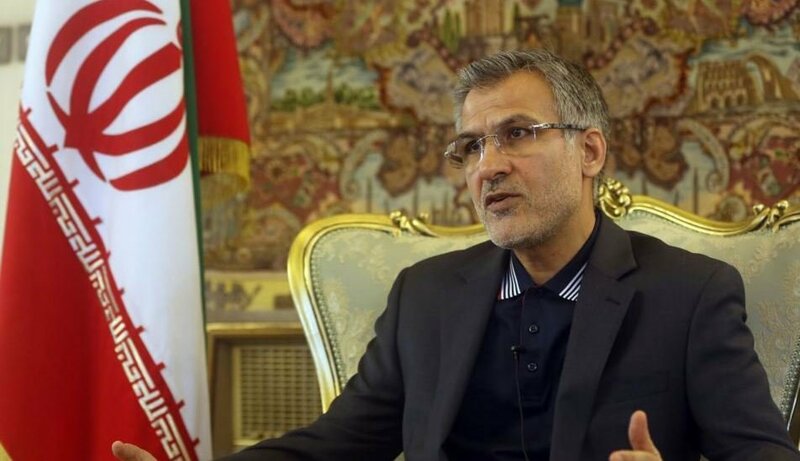 Tehran Times: In an interview with Ariana Television Network, Mohammadreza Bahrami said that Iran and Afghanistan have “common threats and interests”. Iran seeks “long lasting and comprehensive” relations with Afghanistan, Bahrami noted. Click here to read more (external link). Could you explain the difference between the opposing religiously-devoted regular folks and supporters of the Anglo/US-installed government of Afghanistan. In that capacity ; do you think that the puppet government represent the people of Afghanistan adequately- if not, why you are still supporting it on expense of the “ISLAMIC OPPOSITION” inside Afghanistan. Yet, on top of that; you have ambiguous contacts with the Taliban- you are playing double politics by gaining advantage from the both sides on expense of the victimized regular people of Afghanistan. double standard and prolonging the carnage. If you realy don’t care and/or can not help, in what ever capacity, to bring a honorable resolution to the imposed conflicts in Afghanistan; then, what is the point of even having an embassy in Kabul ????? IS IT TO JUST SAFE-GUARD YOUR OWN INTERESTS ????? WE MUST BE HONEST; it is not just the Anglo/US arrogance that have caused destructions- IT IS ALSO SOMETHING TO DO EITH FOOLISH AND UNISLAMIC POLITICS AND PRIDES OF IRAN AND TURKEY THAT HAVE GIVEN THE INTERNATIONAL WAR CRIMINALS THE OPPORTUNITIES TO KEEP HUMILIATING AND KEEP COMMITTING HEINOUS MASSACRES ON MUSLIMS ACROSS THE CONTINENTS AND GET AWAY WITH IT ALL. IT IS ABSURD, RIDICULOUS AND UNBELIEVABLE ! criminals are striving extremely hard to stifle technological developments and achievements, (especially on high tech industries), in Islamic countries- instead they would love to be able to grant, under their supervision, unlimited access and concessions to Chinese and the Indian, in an order to exploit natural resources for their own huge profits across all of Islamic countries. comments, (under the name of Abdul), on my statements and comments.